Firefighters have raised concern at the “serious underfunding” of the fire and rescue service as they respond to floods and other emergencies as a result of Storm Desmond. The Fire Brigades Union (FBU) said that every fire and rescue service responding to the floods across northern England have seen “unprecedented” funding cuts over the past five years. 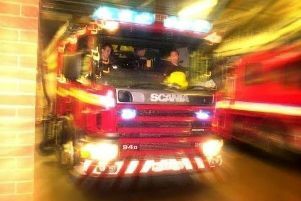 Fire and rescue services in Lancashire and elswhere have faced cuts that have included loss of firefighter jobs, it was claimed. The FBU said the ability of the fire and rescue service to respond to incidents over the weekend had been affected by the cuts and called on the Prime Minister to reverse them. Matt Wrack, FBU general secretary, said: “Firefighters are doing fantastic work tackling the impact of the storm and the floods and deserve the support of everyone. “David Cameron has tweeted his sympathy for the thousands of people affected by the storm. Yet our fire and rescue service is being cut to pieces and the Prime Minister turns a blind eye to the results. “Firefighters are responding to this emergency as they have been every time such storms and floods have hit the UK. “Over the past few years firefighters have saved thousands of people from the dangers of flooding. They are also central to efforts to protect livestock, industry and other private property. “These are all essential for trying to limit the damage to local communities and economies as well as keeping people safe. “David Cameron, on the eve of the 2010 general election, spoke at Carlisle fire station and promised to protect frontline public services. The reality has been the complete opposite.